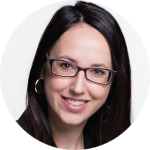 Stéphanie Horth holds a Law Degree from University of Montréal, a Master of Law in International Human Rights and Humanitarian Law from European-University Viadrina, and also studied Political Science at Concordia University in Montreal. After practicing law in Montreal, she pursued her studies in human rights law. Stéphanie also completed a research internship at the Human Rights Center of Potsdam University in the field of international criminal law. She currently works for the International Organization for Migration.